Introducing the "Barrel Select" line. 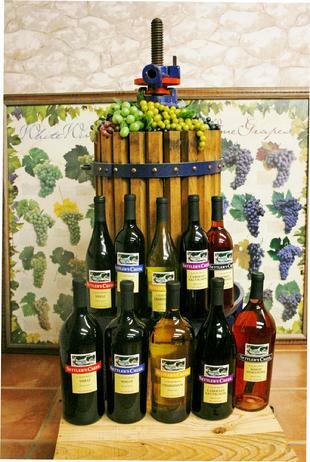 This range of wines consists of wines produced primarily from the Lodi region of California. These wines are full of flavor and have a style and flavor profile of wines that are priced much higher. Varieties include Chardonnay, Cabernet Sauvignon, Merlot, Shiraz and White Zinfandel. These wines are available in both 750ml & 1.5 liter bottles.